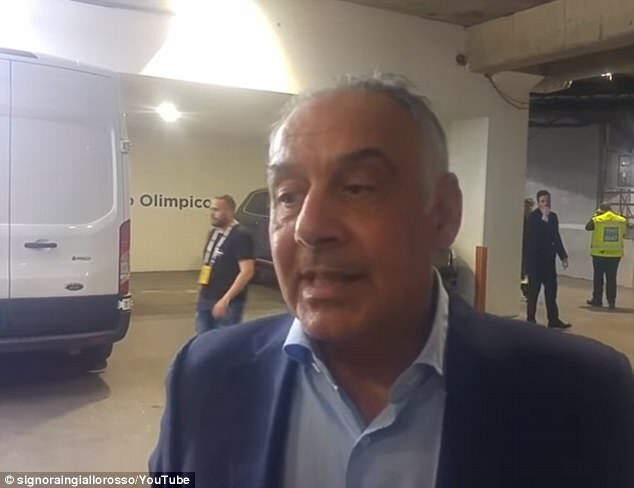 Roma president Jim Pallotta believes it will be an ‘absolute joke’ if the Video Assistant Referee is not introduced into the Champions League. 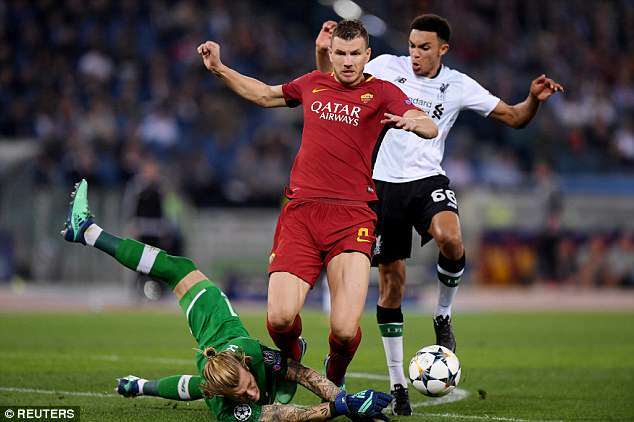 The Serie A side lost their semi-final 7-6 on aggregate to Liverpool but there were a number of incidents Pallotta was unhappy with in the game, including a handball by Trent Alexander-Arnold which was not given. 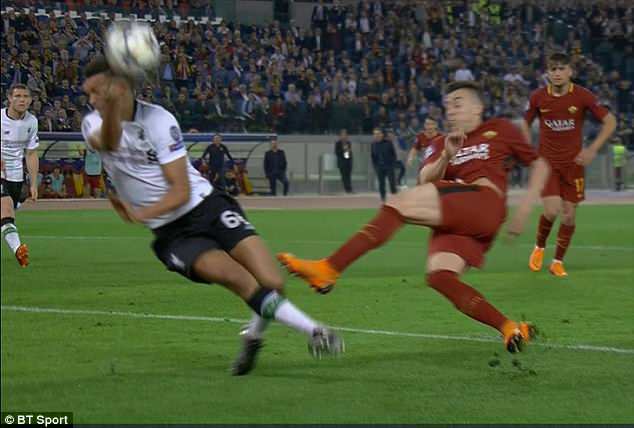 ‘It is very clear VAR is needed in the Champions League because you just can’t let stuff like this happen,’ he said. ‘You can all look at it yourself. (Stephan) El Shaarawy in the 49th minute wasn’t offside and he gets taken down by the goalie; the 63rd minute was a handball that was obvious to everyone probably in the world except people on the pitch; the 67th minute Schick gets taken down in the box. ‘I know it is difficult to ref but it is really embarrassing that we lose on aggregate like that. ‘By the way, it should have been a red card which would have been 10 men in the 63rd minute. Roma sporting director Monchi also got involved in the debate, by saying that he felt ‘Italian football has to raise its voice, because this is not normal’. He added: ‘It changes everything. We conceded a goal that was offside in the first leg, here we had two penalties not given, one of which was a clear red card. ‘It’s time to raise our voices, not just Roma either, as Juventus suffered the same against Real Madrid. Italian football has to raise its voice, because what we saw tonight was shocking.